This mosaic is a little summary of the last two weeks. Weaving, quilting, crocheting, and enjoying the beautiful weather. The yarn I'm using for my crochet project is Tahiti by Schachenmayr. When I saw it in the shop, I just couldn't resist. Yesterday, I finished the blue scrap quilt. 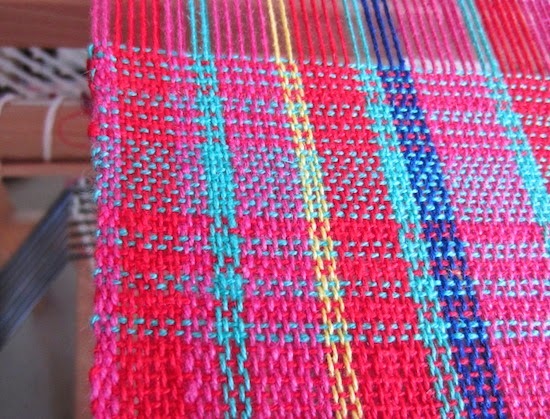 I'm also done, at last, with my cottolin warp. I tried several twill weaves and paid special attention to the selvedges. It's not too bad, I think. Next time, I'd like to try floating selvedges to see how it works. I washed the fabric. I still have to iron it and then to decide how to use it. Probably some little pouches and also a couple of book covers, which means I will not see my carefully wowen selvedges anymore! 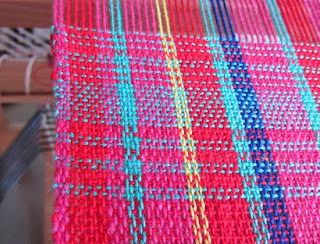 My loom is empty. 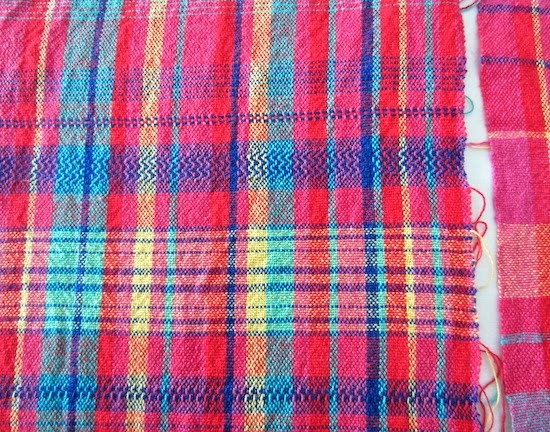 For the next weaving project, I want to use the variegated paper yarn I bought in Kyoto a few years ago. 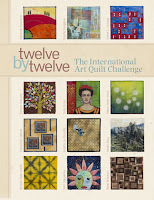 I've also got one or two quilt ideas percolating, but there's no hurry. 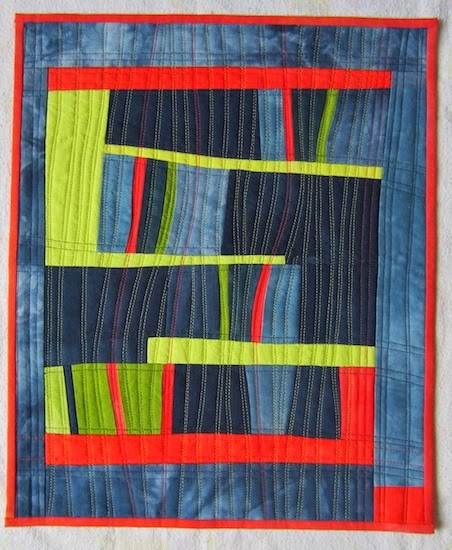 Your quilt turned out quite nice! 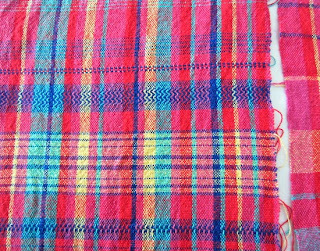 And to have your weaving done is such a great feeling with the anticipation of the next project. I like the yarn that you found and that you're crocheting with. 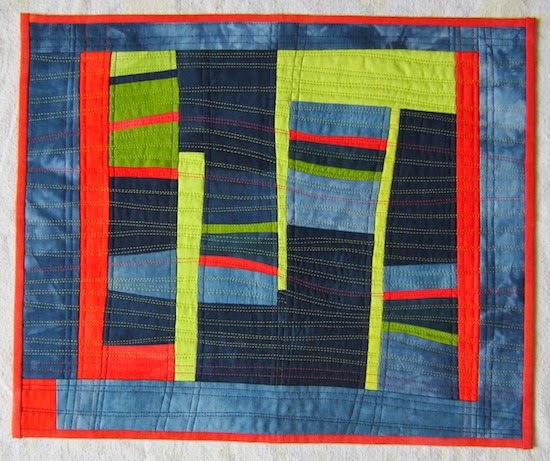 I love your blue scrap quilt. Very pleasing abstract shapes there. Your scrap quilt is beautiful, and I agree with you re the landscape orientation. As for your woven piece, I'm totally wowed by it! I did a few samples at college but I found the warping up so tedious but loved the results, your colours are so perfectly balanced. 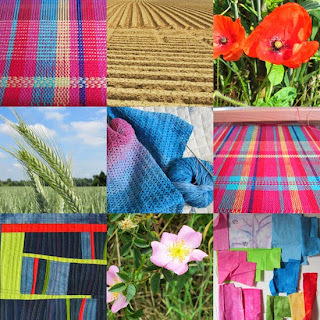 Love the little blue scrap quilt, and the weaving...Wow!